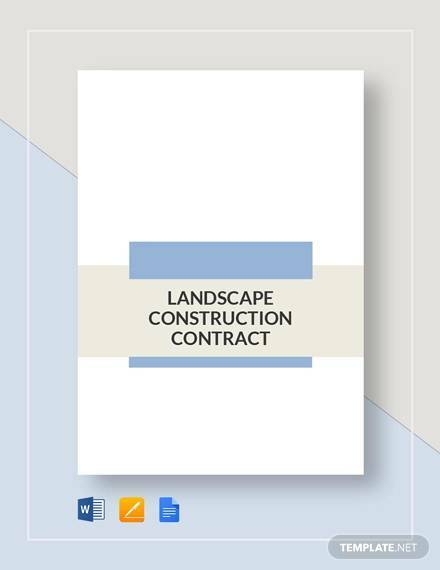 If you are looking to expand your offices, or building a new house, or setting up an office building, renovating your house or building, etc. 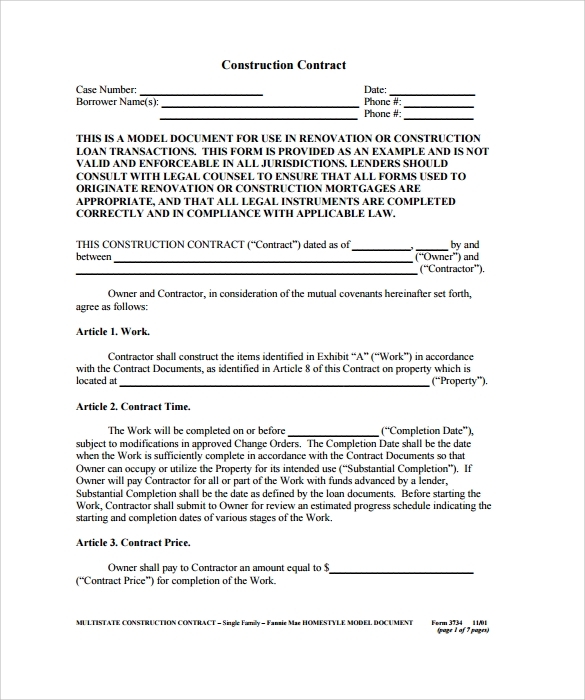 you should sign a construction contract with your contractor. 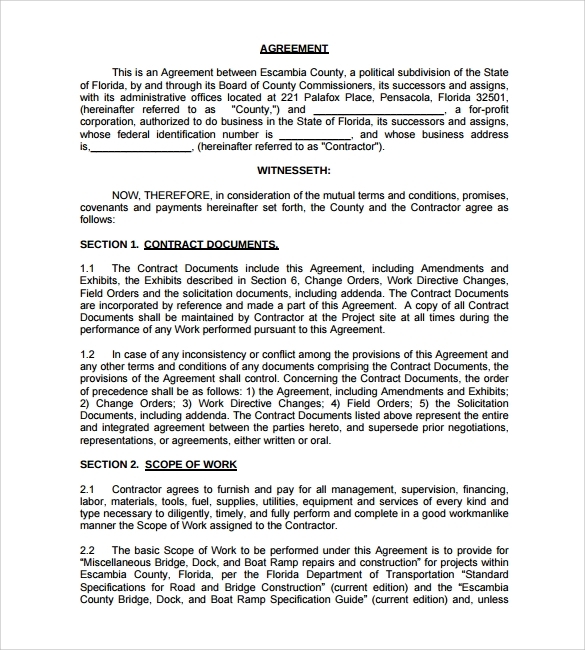 Oral agreements are a strict no-no in such cases – they carry no weight at all in court. In order to protect yourself from unexpected incidents, cost overruns, fraud etc. 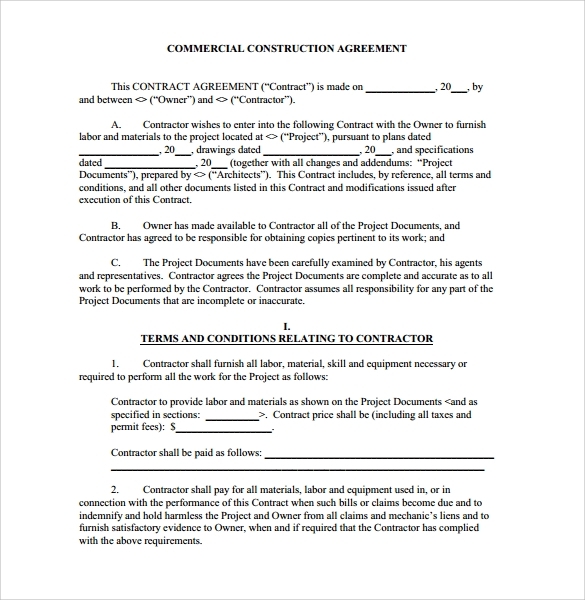 it is advisable that you hash out all the necessary details and sign a business contract templates to seal the deal legally. 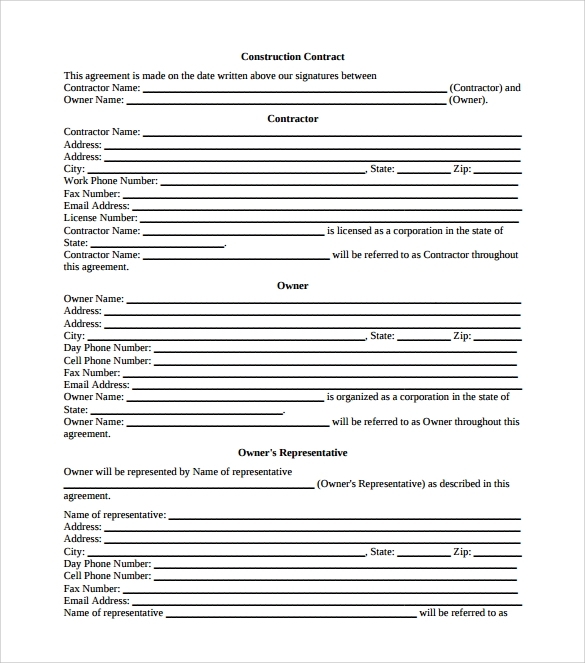 These construction contract templates can be easily customized according to your needs – you can add or remove clauses. 1. 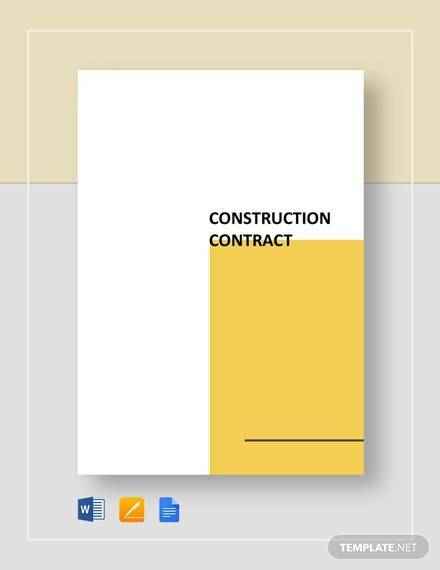 These Sample Contract Templates are available in both Word and Excel formats for your convenience 0 you can use whichever suits your purpose. 2. 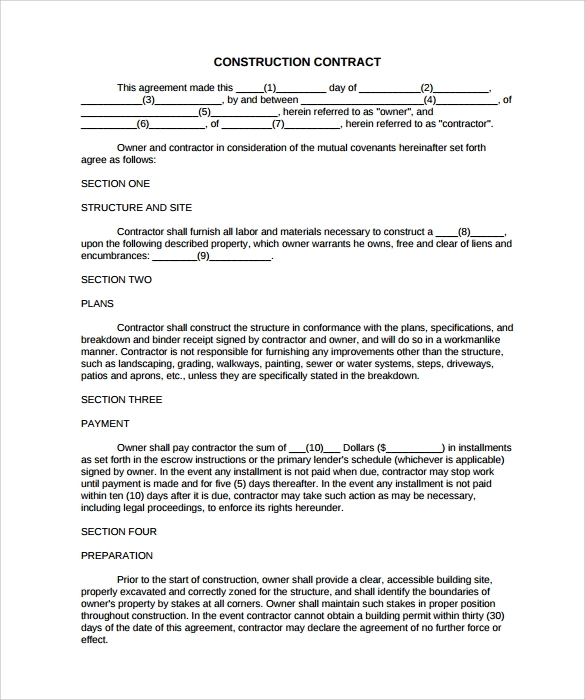 You can simply download these simple contract templates for free, print them out and fill in the provided blank spaces with necessary details. 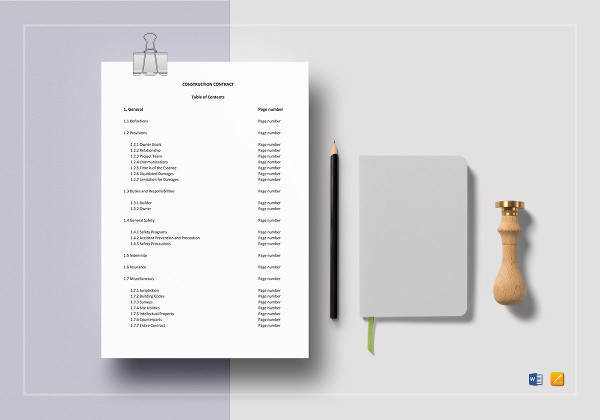 Some templates are premium and require payment. 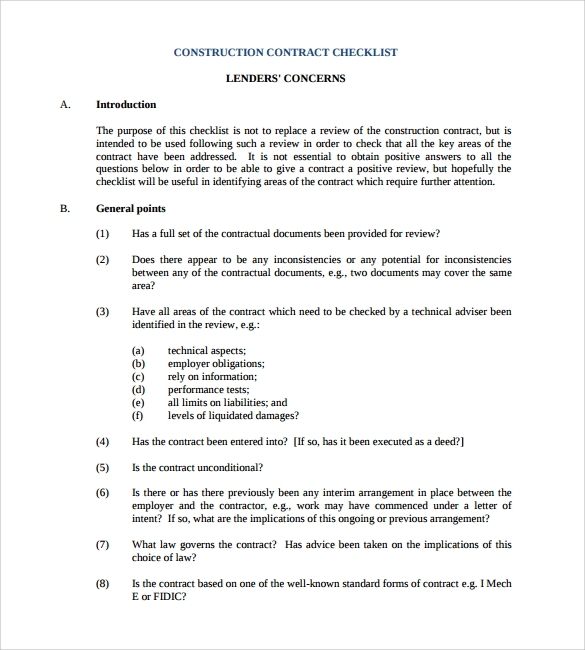 Misunderstandings are rampant in construction work between the contractor and the client – so it is advisable to agree on a water-tight construction contract.You may also see project contract templates. 1. 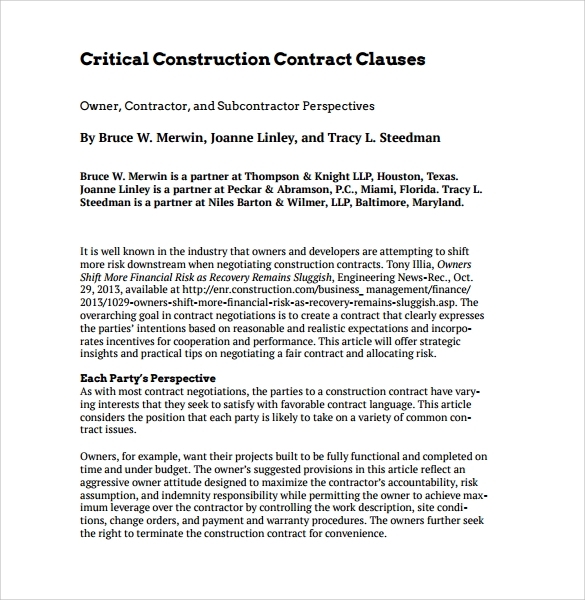 A construction contract template usually includes details, for example – bid analysis, duration of work, project completion schedules, details of how weather delays and material shortages should be dealt with, etc.